Wash-Dry-Fold POS offers integrated credit card payment processing! Click here to learn more. Note: Your application for a merchant account will first need to be approved and your account created before your PIN pad is shipped to you. It will not come with your initial hardware shipment. It will be sent in a separate shipment. 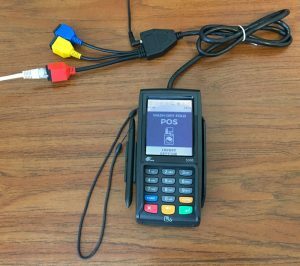 Your EMV PIN pad will need to be connected to your local network via Ethernet cable using the red connector. Blue and yellow are not used in our setup. Power is plugged into the main cable of the PIN pad where it splits into three parts as shown in the picture below. A common setup is to use a powered Ethernet Switch to split your one Ethernet connection at your service counter into two connections or more for your POS computer, EMV PIN pad credit card reader, and any other device requiring a wired internet connection. 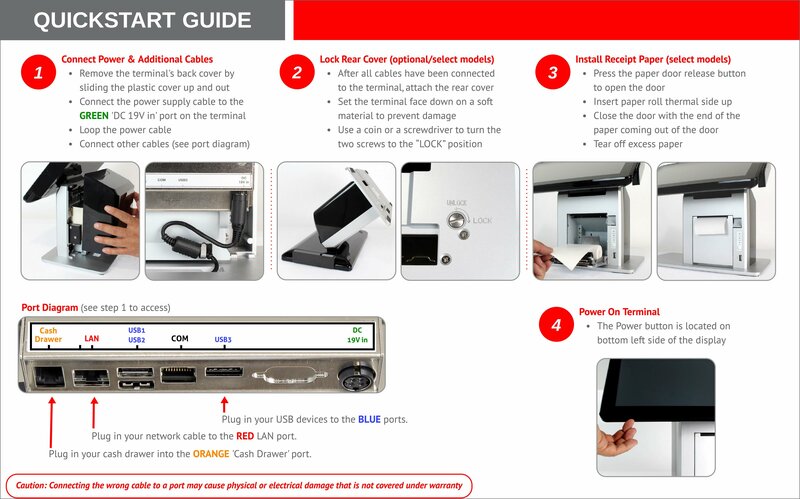 Please arrange a setup call with us before you plug in your PIN pad for the first time for assistance with programming your POS software settings. The following content was first posted in this discussion thread on the coinlaundry.org forums. If you’re not a member, we recommend signing up and joining the discussion with fellow laundromat owners! 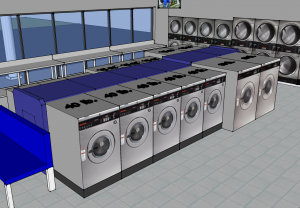 After enough interest from other laundry owners about how I used SketchUp (a free 3D modeling program) to design my family’s newest laundromat, I decided to create a series of videos showing how I did it. You will be prompted to register your POS system software the first time you launch it. For now, it’s best to simply click “Register Later”. This software license registration code will be provided to you during our 2-hour owner training session, where we remotely access your POS computer over the internet and speak with you on the phone. Until that time, you are limited to 200 invoices before requiring registration. Integrating your weight scale into your Wash-Dry-Fold POS system’s software not only speeds up transactions, it also saves your laundromat money by reducing mistakes. With standalone scales, it is easy to misread a display and charge drop-off laundry customers an incorrect amount. 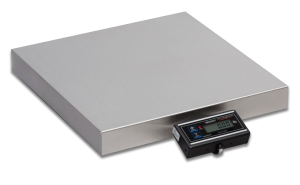 Our 18″x18″ weight scale’s accuracy is rated for 150 x 0.05 lbs. It is extremely robust and topped with a stainless steel platter. 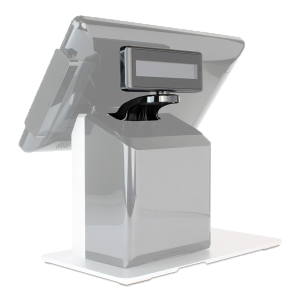 It also includes a remote display with a 7′ long cable that can be mounted on a counter top, or a wall, or the back of your POS computer, or to the front of the scale. Your weight scale comes with a 10′ white serial cable for communication. 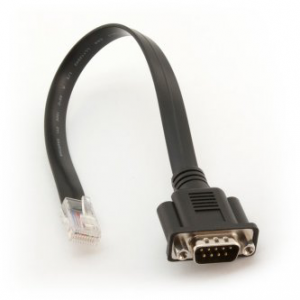 This connects to a DB9 to RJ45 (serial to Ethernet) adapter that comes with your POS computer, which then plugs into the port labeled “COM 1”, “COM 2”, or “COM 3” on the back of the computer. The weight scale is already configured to work with your Wash-Dry-Fold POS system’s software, although you may need to specify in the software to which COM port you connected the scale. During your initial training with us you will be shown how to create items that can be priced by weight. Many laundromats will leave a basket or a tub sitting on top of their weight scale so that customers with loose clothing items can simply dump their laundry order into the container. Initial automatic zero settings is +/-10% of maximum capacity — active at power up. Manual zero setting range is +/-2% of maximum capacity — active using the ZERO key. So, since the maximum capacity of our scales is 150 lbs., then you can zero out up to 15 lbs. by cycling the power on the scale and up to 3 lbs. by pressing the ZERO button on the scale’s display. This only needs to be done when changing containers or if the display shows anything other than 0.00 lbs. before weighing items. Wash-Dry-Fold POS offers an optional rear-facing customer display which is a convenient and streamlined way to display pricing to customers when you ring up orders for total pricing transparency. Depending on local regulations this display may be mandatory for your store, but it also builds trust with your customers and offers a very professional display. 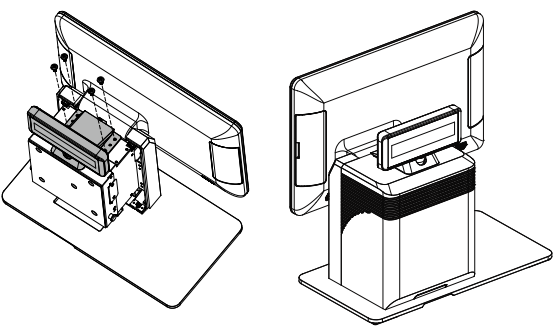 The back panel of your Wash-Dry-Fold POS computer will already have a section pre-cut on the top that slides off where you can mount your rear display. 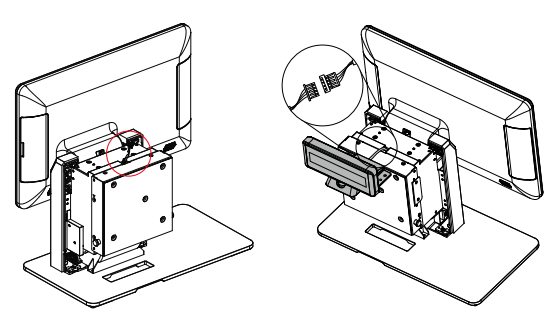 Inside the top back section of your POS computer is a small white connector that matches the one on the rear display. Connect them. 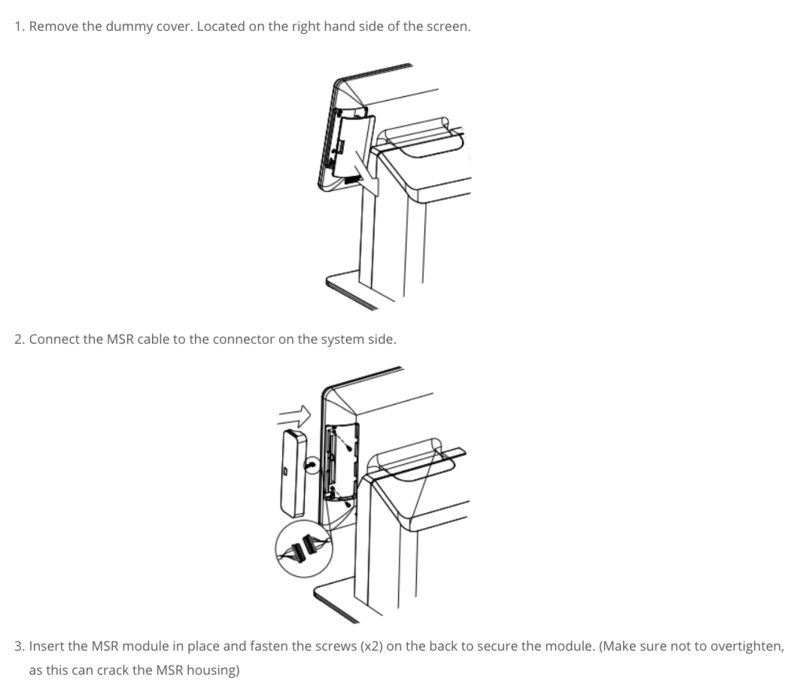 Secure the rear display using the four provided screws. Slide the rear panel back into place. In the POS software, click the yellow Manager button on the main login screen and log in with your administrative password and ID. Our thermal label printer plus software and installation service includes a roll of 1,375 individual 4″ x 1″ self-adhesive thermal labels to get you started, a USB cable, and the software to easily print labels for finished laundry orders which displays the customer’s name in a large font and the total number of bags and/or hanging items in an order. Our built-in thermal receipt printer uses 3-1/8″ wide (80mm) x 3″ diameter receipt paper. There’s no ink cartridges or ink ribbon to replace – it’s all thermal!